ADP, the nation’s largest payroll services provider, at the request of ProPublica, did a study of wage garnishment in September 2014. The study looked 13 million employees age 16 or older from 2011 through 2013 and found that one in ten people between the ages of 35 to 44 had their wages garnished. Roughly half of the people in the study had wages garnished due to child support. But a sizable number had their earnings docked for consumer debts, such as credit cards, medical bills and student loans. 4 million American workers, or roughly 3% of the working population, had some kind of wage garnishment to repay consumer debts. The rate of garnishment was the highest in the Midwest, where over 6% of the population had wages seized over consumer debt. 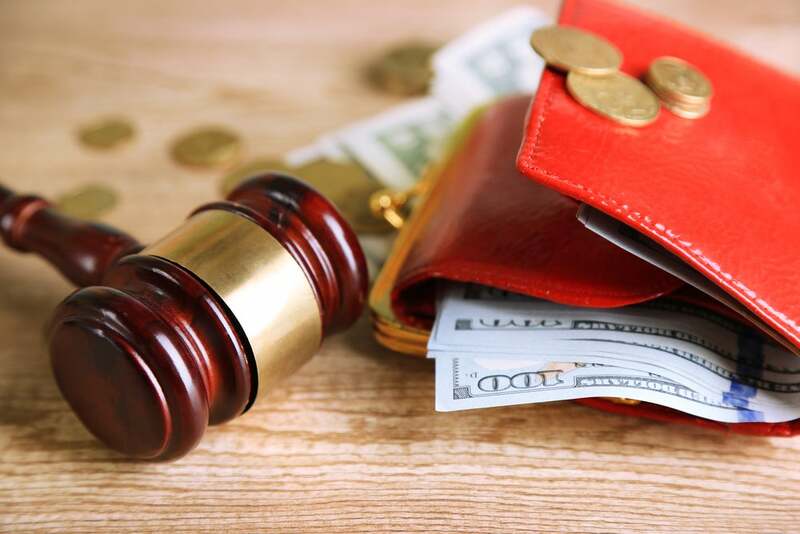 Because of the onslaught of lawsuits brought recently by creditors, there has been a shift in the traditional root cause of garnishment from unpaid tax liens and child support to unpaid consumer debts. In most cases, in order for a wage garnishment to take place, a court order must be in hand to give to your employer. For instance, if you stop paying on your credit cards, you may be taken to court over the unpaid debt. If the creditor wins in court, they get a judgment against you and this judgment can be turned into a court order of garnishment, which is then sent to your employer. Since 1988, all court orders of child support include paperwork that can be submitted to employers for payment if one parent decides not to pay the support without the need of going back to court. More and more debt collection activity is culminating in court. In Missouri alone, over 100,000 lawsuits were filed in 2013 over debts. In Maricopa County, Arizona (part of the Phoenix Metropolitan area), lawsuits over consumer debts rose from 50% in 2007 of all civil court cases to 75% in 2011 of all court cases. The Consumer Financial Protection Bureau recently sued Frederick J. Hanna and Associates, alleging that the firm operated as a lawsuit factory, cranking out more than 350,000 suits in Georgia alone since 2009. Debt collection through lawsuits has become commonplace among collection agencies. States that don’t allow wage garnishment in most debt cases: Texas, South Carolina, Pennsylvania and North Carolina. States that allows debtor to keep 90 percent of their wages: Missouri, New Jersey and New York. States that prevent garnishment from dropping wages below poverty line: Alaska, Florida, Wisconsin. States that allow less garnishment than the federal standard: California, Colorado, Connecticut, Delaware, Hawaii, Illinois, Maine, Massachusetts, Minnesota, Nebraska, Nevada, New Hampshire, New Mexico, North Dakota, South Dakota, Tennessee, Vermont, Virginia, Washington, West Virginia. Non-consumer debt is still the major source of garnishment. In 2010, 26.8% of all custodial parents relied on government assistance in collecting child support. Of the 6.9 million custodial parents who were awarded child support in 2009, only 41.2% received all of the child support due. Up to 50% of your disposable earnings may be garnished to pay child support if you are currently supporting a spouse or a child who isn’t the subject of the order. If you aren’t supporting a spouse or child, up to 60% of your earnings may be taken. An additional 5% may be taken if you are more than 12 weeks in arrears. You do not need a court order for 15% of your wages to be garnished if you are in default of your student loans. However, you must be given 30 days notice before the garnishment happens. Once notified, you will be told how much you owe, how to get documents on the garnishment, and how to request a hearing on the garnishment. The IRS does not need a court order to take a big chunk of your wages. The amount taken depends on the number of dependents you’ve claimed and your standard deductions. The tax code does not specify the limits on what the IRS is allowed to take, only what it must leave. A married person filing a joint return, claiming two deductions and getting paid $5000 monthly will only be allowed to only keep $1625 of their check. Anything over this amount gets garnished. In general, federal benefits like Social Security, disability and veteran’s benefits are exempt from garnishment. However, when a bank receives an order to garnish an account, how does it know which funds were part of the benefits? Under rules put into place in May 2011, your bank is required to protect up to 2 months of federal benefits that are directly deposited into your accounts. Federal funds that are deposited are electronically tagged by the bank. The bank must notify you that these funds are protected. The creditor did not follow proper procedures. An example of improper procedure is that the creditor did not give you timely notice of garnishment. The creditor has already been paid. The creditor is taking too much money. By federal law the creditor can only take 25% of your wages after taxes and other mandatory deductions or 30 times the minimum wage, which ever is greater. As we saw previously, some states allow even less of your wages to be taken. If you do file an objection, you need to go to the hearing. Failing to appear will cause the court to deny your objection. Another option to stop a garnishment is to negotiate with the creditor. Even if the garnishment begins, you can always negotiate with the creditor. If the creditor agrees to a lump sum settlement, this can stop the garnishment.